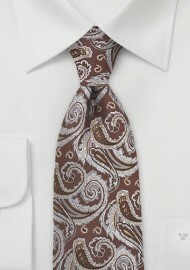 This elegant silver and chocolate brown paisley tie is part of Chevalier's new Fall collection. 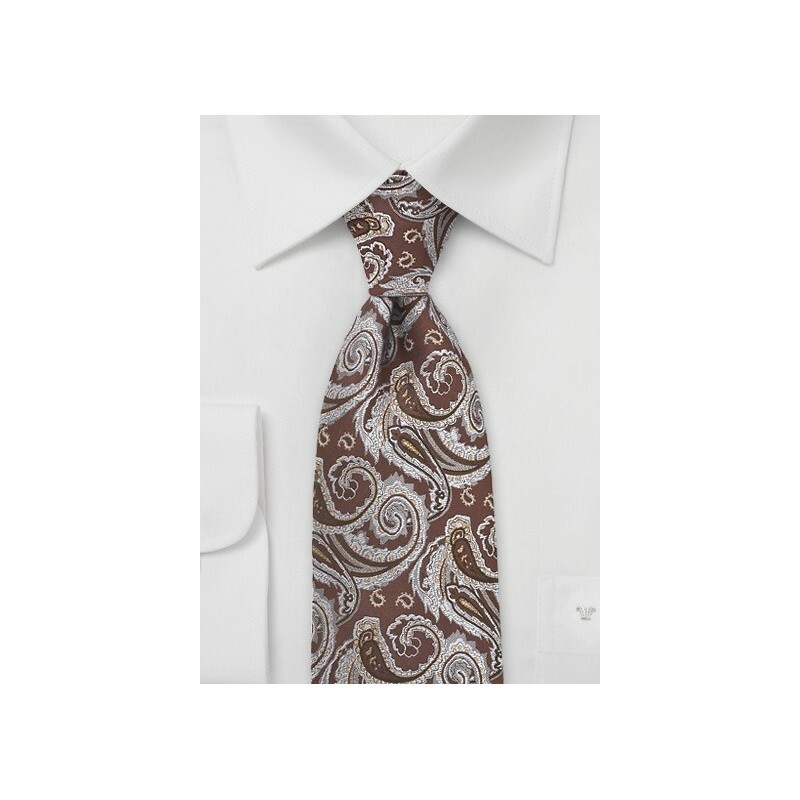 The elaborate paisley pattern in combination with multiple shades of brown, silver, and gray will set you apart from all the other suit and ties in the office. Enjoy matching this tie! Because there are quite a few nice suit and shirt combinations for this tie, picking a favorite was not easy for us. One look we particularly liked was the navy blue suit (2-button single breasted jacket cut), solid white shirt, and a solid tan pocket square. Handmade by Chevalier from finest Jacquard silk.